I don't know if this has been mentioned before, but the main problem/exploit that people are using for their spin2win is the fact that Maiming Strike applies before Blood Rush. Take the Atterax for example. 25% base crit chance, 3x crit multiplier. With maxed Blood Rush, after just five hits, you have ~87% crit chance. But with maiming strike, after the same time, you get just under 400% crit chance. That's a 9x multiplier if you don't use Organ Shatter, 16.2 if you do. That's where the insane scaling is coming from. If Maiming Strike applied after Blood Rush, things would be different. Following the same example of Atterax with Blood Rush/Maiming Strike and a 1.5 combo multiplier, a spin attack would have only 177% crit chance. 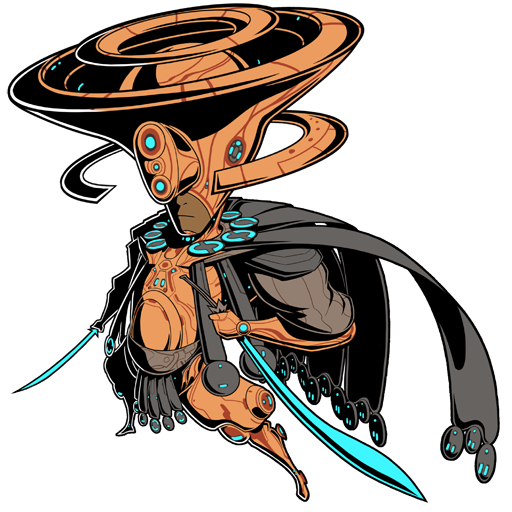 The average crit multiplier would be around 4.5, or 7.7 with Organ Shatter. This cuts down on how long a Maiming Strike/Blood Rush build can last in a survival mission while still letting that build be usable in pretty much the entire game, except for a select few cases.